Kim Jong Un sent a rare congratulatory message to Xi last week at the end of China's all-important Communist Party Congress, wishing him "great success" as head of the nation. 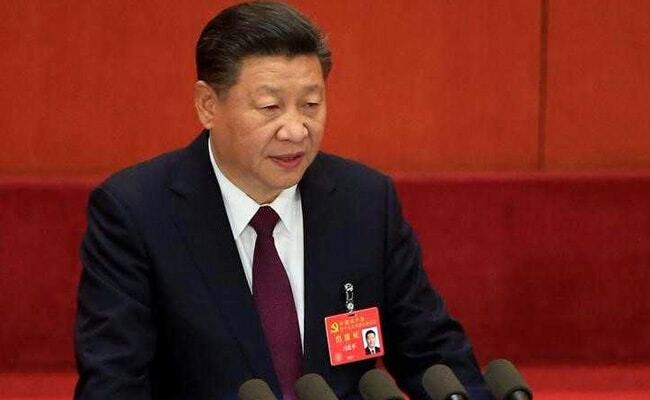 SEOUL: Chinese President Xi Jinping replied to North Korean leader Kim Jong Un's congratulatory message on China's recently completed Communist Party Congress, saying he hopes to promote ties between the two countries, North Korea's official news agency KCNA said. "I wish that under the new situation, the Chinese side would make efforts with the DPRK side to promote relations between the two parties and the two countries to sustainable soundness and stable development and thus make a positive contribution to ... defending regional peace and stability and common prosperity," Xi wrote in the message dated Nov. 1, according to the KCNA. The friendly exchanges by the two leaders come as China is being urged by the international community to do more to rein in the North's missile and nuclear tests that have raised tensions globally. China, the North's sole major ally, has grown increasingly frustrated with Pyongyang following the isolated state's defiant pursuit of its nuclear and missile programmes, repeatedly calling for restraint and urging all sides to speak and act carefully. Beijing accounts for more than 90 percent of trade with North Korea and has been called upon by several countries, especially the United States, to step up its efforts to implement U.N. Security Council sanctions restricting trade with the country. China and North Korea often exchange routine diplomatic correspondence and ceremonial letters on political anniversaries or political promotions, although personal messages to and from the leaders tend to be few.